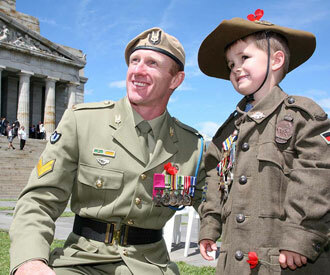 Remember the ANZACs these summer holidays and learn about Australian military history with the Shrine’s Family Trail, full of educational activities for families to do together. Explore the Shrine’s building, gardens and memorials, discover the wartime jobs for men and women, and find out about the role fulfilled by animals during times of conflict. Families will have the opportunity to participate in a short commemorative ceremony featuring the Ray of Light. All families who complete the Family Trail will receive an Anzac biscuit and entry into a prize draw to win a $50 gift pack from the Shrine Shop. Join in and write your own page! It's easy to do. How? Simply click here to return to The Free Things Message Board.